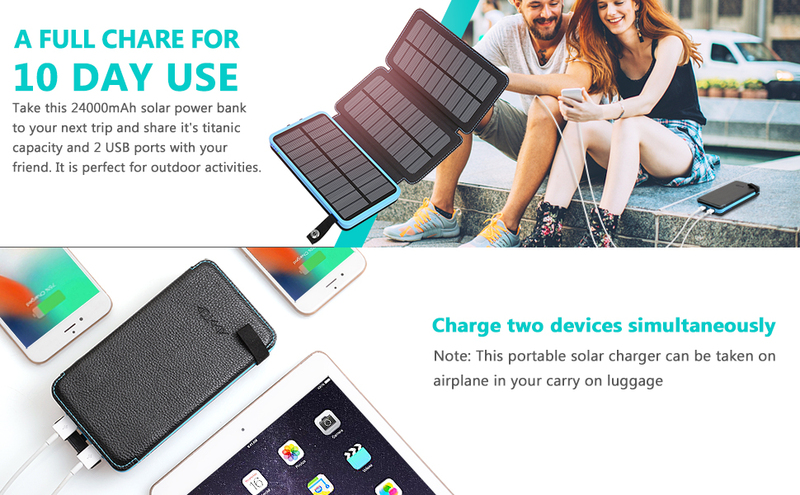 24000mAh Solar Charger: Built in 24000mAh Li-Polymer battery, the solar charger can fully charge most of smart phone up to 10-12 times. 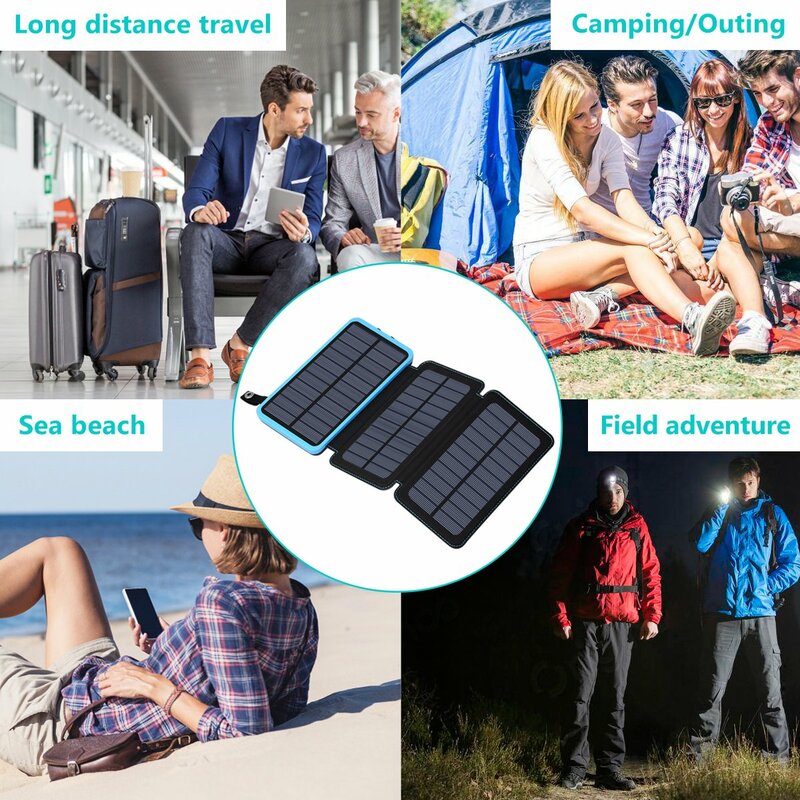 Large Solar Panels: Portable Solar charger with 3 highly efficiency solar panels, which could recharge itself expeditiously, which is 3 - 5 times faster than the other solar chargers. 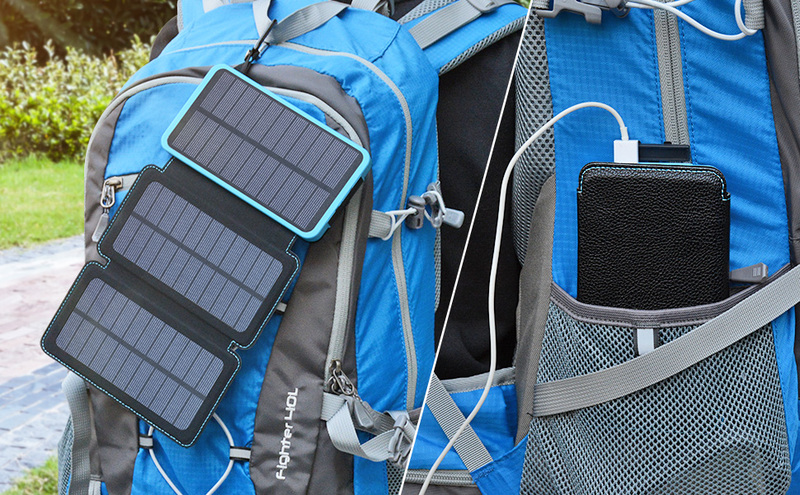 Solar used as the main charging method for outdoor activity. Highest Speed Output: Equipped with dual smart identify USB output ports(5V 2.1A / 5V 1A), This Power bank can charge 2 digital devices at the highest speed simultaneously. Waterproof and Durable: USB ports are protected by silicone cover, makes it rainproof and dustproof. This Phone charger provides IC protectionm and safety guarantee for your devices.